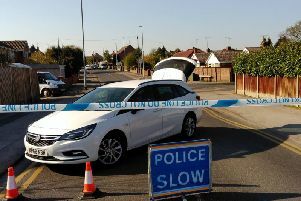 A Sutton woman smashed her ex-partner’s windscreen with a claw hammer when he refused to let her drive his car, a court heard. Gloria McCafferty said: “If I can’t use it, no f***** can,” before causing £200 of damage to the vehicle outside her home, on September 11, said prosecutor Donna Fawcett. Michael Little, mitigating, said the mum of four had been in the relationship for eight years, but suffered from “significant” mental health problems, including severe paranoia and a personality disorder. McCafferty, 25, of Woodland Avenue, admitted criminal damage when she appeared at Mansfield Magistrates Court, on Wednesday. He fined her £120, and ordered £85 costs and a £30 government surcharge.